Great color, Super Quick! 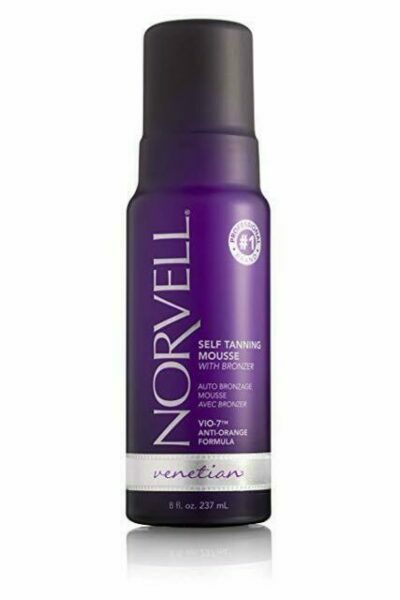 You can control the depth of your tan and enjoy the convenience of showering shortly after application with this salon quality, rapid mousse which utilizes color theory to neutralize orange hues. Deliberately formulated using a unique blend of violet and brown hue bronzers, this mousse effects a deeper, darker, more dynamic tan. 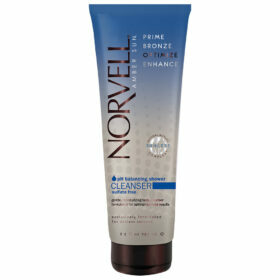 For best results, exfoliate 24-hours prior to application. 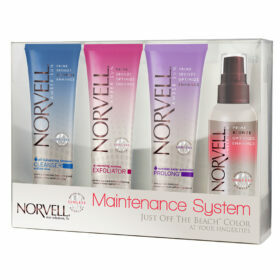 Apply to clean, dry skin using the Norvell Blending Mitt. 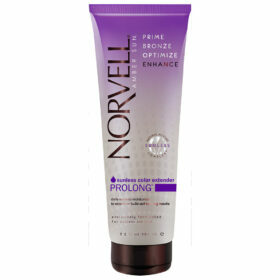 Smooth Mousse on evenly and blend thoroughly across areas to be tanned. Avoid over application to elbows, hands, knees, ankles, and feet. When applying to face, lightly blend into hairline using a make-up sponge, if necessary. Choose Your Color: You may warm water rinse at 1 hour for Light Bronze, 2 hours for Medium Bronze, or 3 hours for the Darkest Bronze. Do not shower with soap for 24 hours. Although the instant, cosmetic bronzers wash away during the warm water rinse, sunless color continues to develop over the next 24 hours following the application, with results lasting 5-7 days. Sun Safety Warning: This product does not contain a sunscreen and does not protect against sunburn. Repeated exposure of unprotected skin while UV tanning may increase the risk of skin aging, skin cancer and other harmful effects to the skin even if you do not burn.